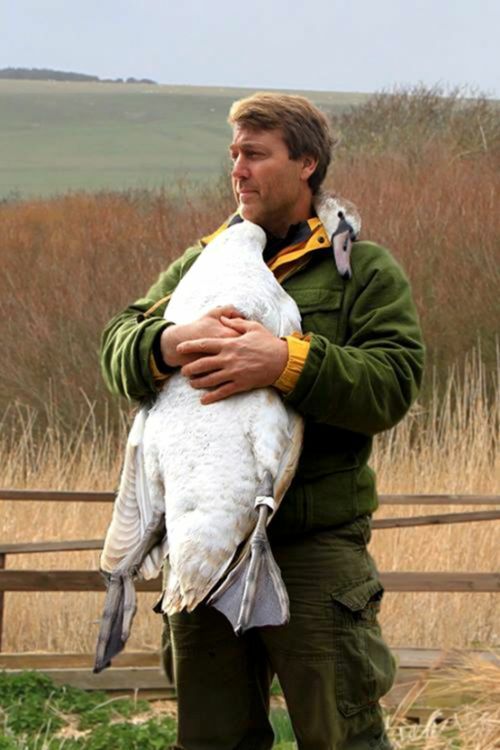 Swans normally aren't affectionate or approachable animals. 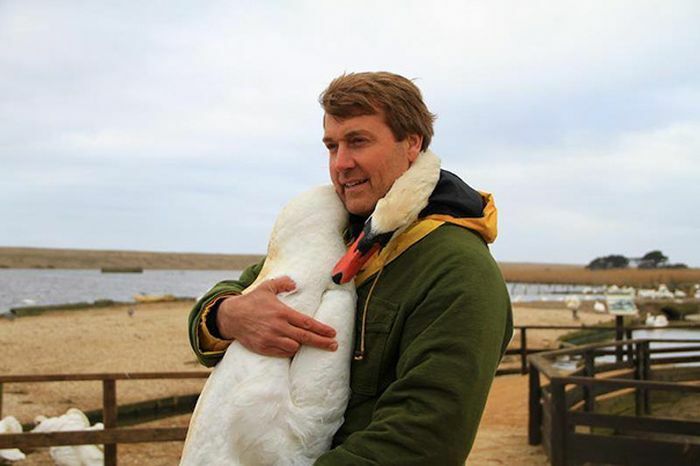 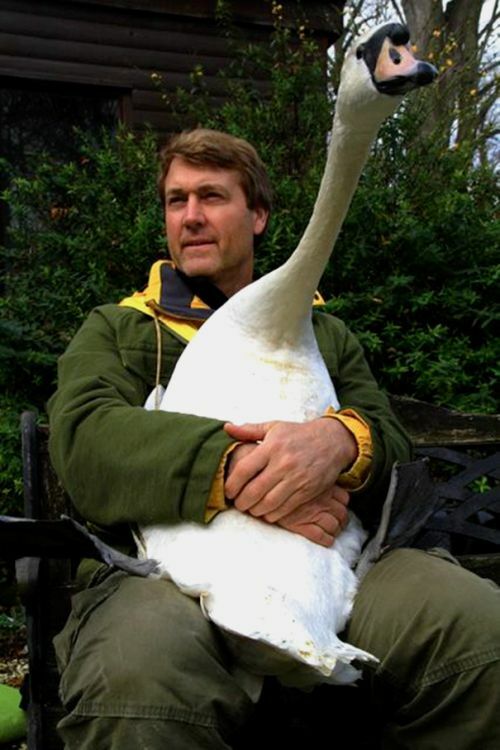 But an injured swan hugged Richard Wiese, the host of the television show “Born to Explore." 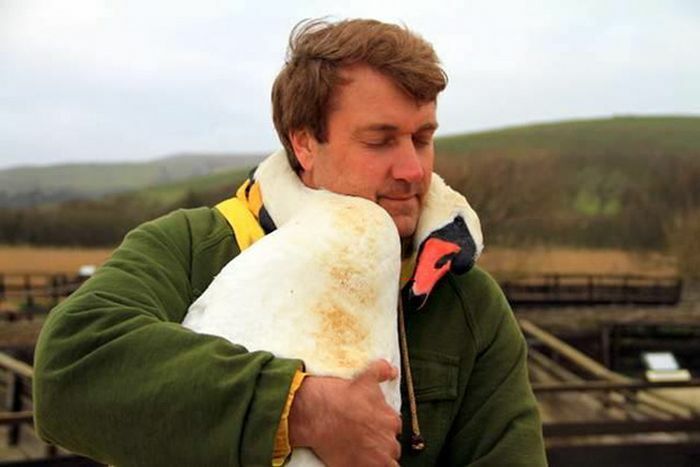 A few years ago Richard found the swan had been injured after slamming into a fence and he helped calm the animal down so it could get back to normal.